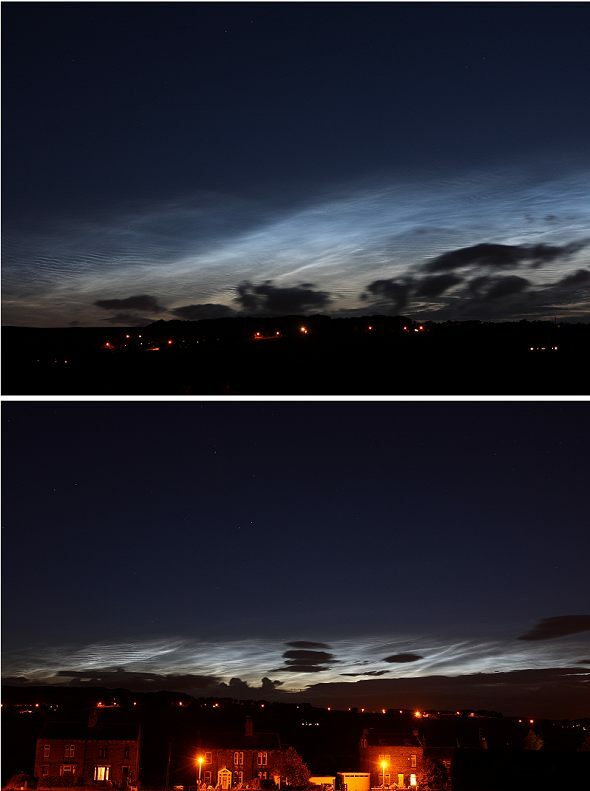 Noctilucent clouds are made of very thin layers of crystals of water ice, collecting on the surface of dust particles. They are higher than any other clouds, located 30 - 50 miles high up in the atmosphere. They are illuminated by the sun after it has set below the horizon when the lower layers of the atmosphere are in Earth's shadow.